I've been a bit slack on the baking front recently, so what better excuse than to bake my lovely Mum a cake for Mothers Day! It had to be something a little different, so I scoured my new copy of The Clandestine Cake Club Cookbook. 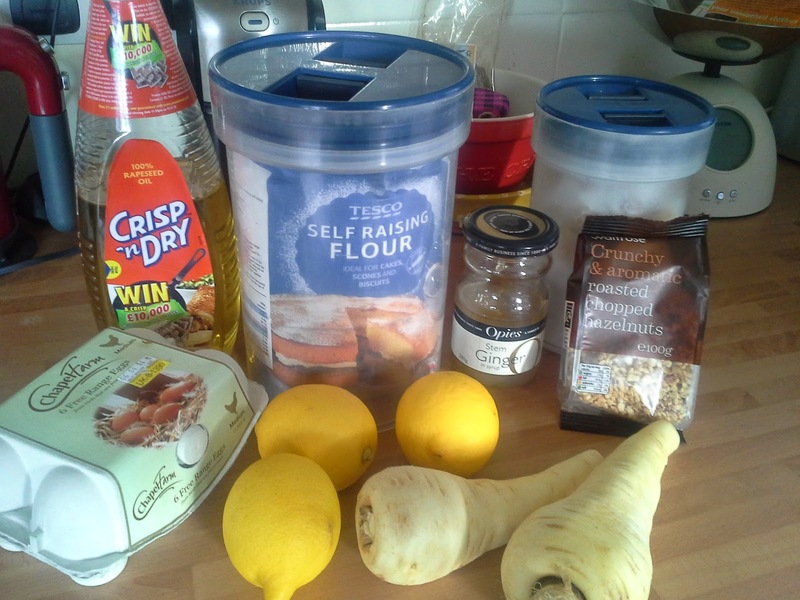 Now these ingredients don't scream your average cake recipe, do they? But then I guess people might have thought that about Carrot Cake originally. 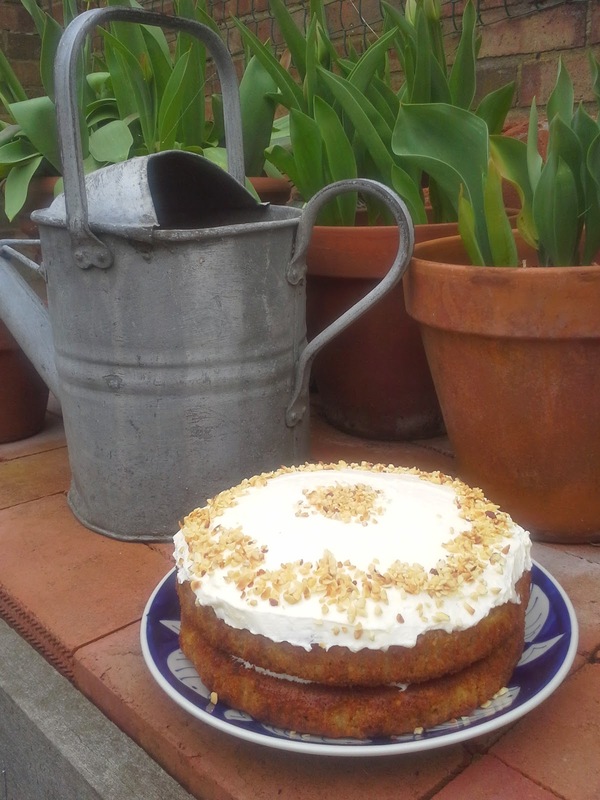 So I offer to you Lemon, Parsnip & Hazelnut cake! 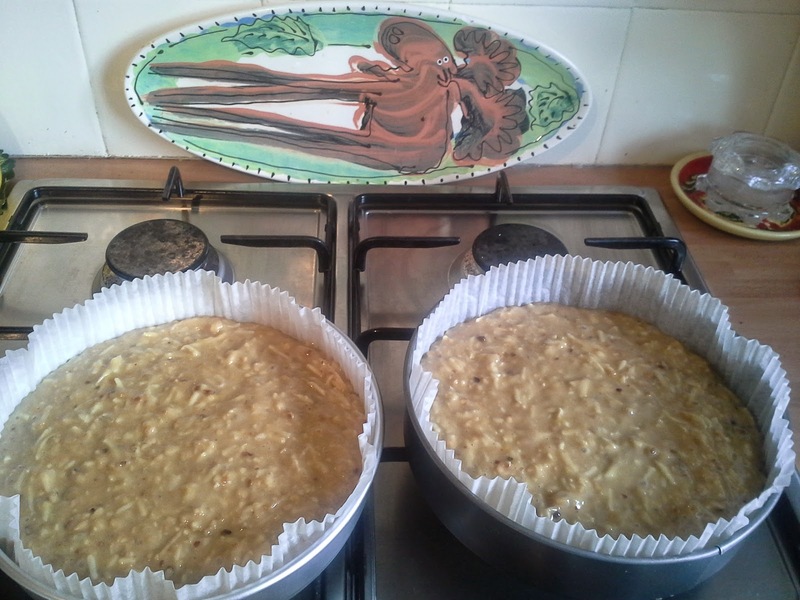 The cake batter includes 125g of stem ginger as well, which really adds a zing to the cake. I only had 85g available, so added a little of the syrup, but this added plenty of ginger zing. 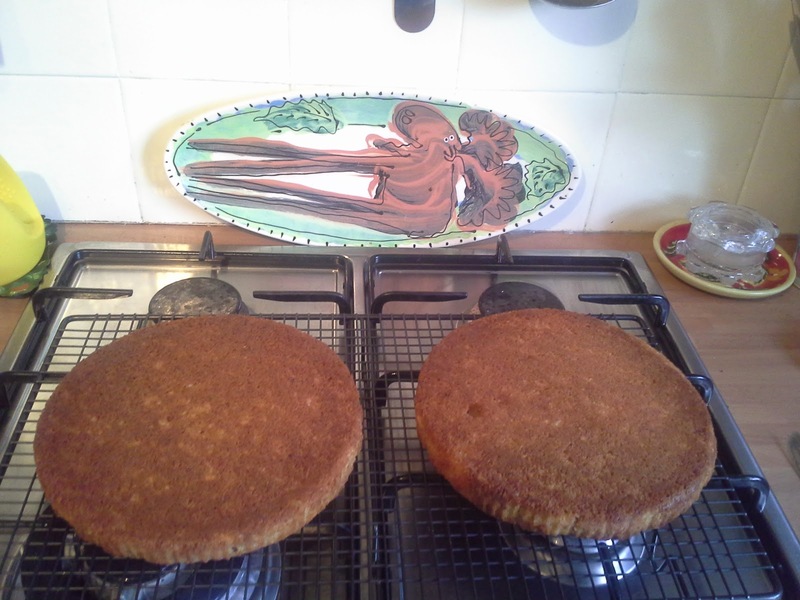 The cakes were baked for 30 minutes in a 170c fan oven. They came out a nice deep golden colour. The lovely filling/icing was a butter/cream cheese/icing sugar combo with lemon juice to take away some of the sweetness. The cream cheese tubs available are only 200g and the recipe asked for 250g. I just reduced the rest of the icing ingredients accordingly and it was plenty enough to fill and top the cake. An absolutely delicious cake (my friend Raph said it was 'bloody amazing' - that's compliment enough!! ), packed with varying flavours. 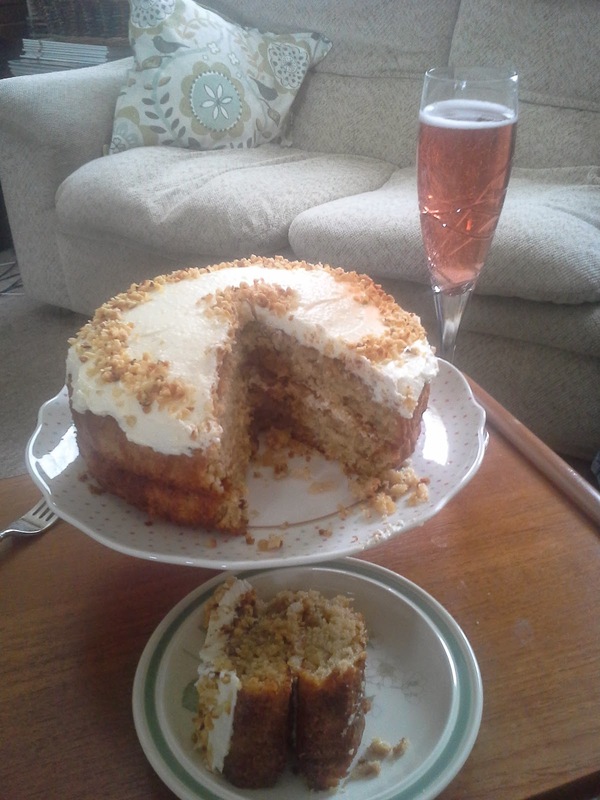 Perfect for after a Mother Day walk with a cheeky glass of Pink Fizz!